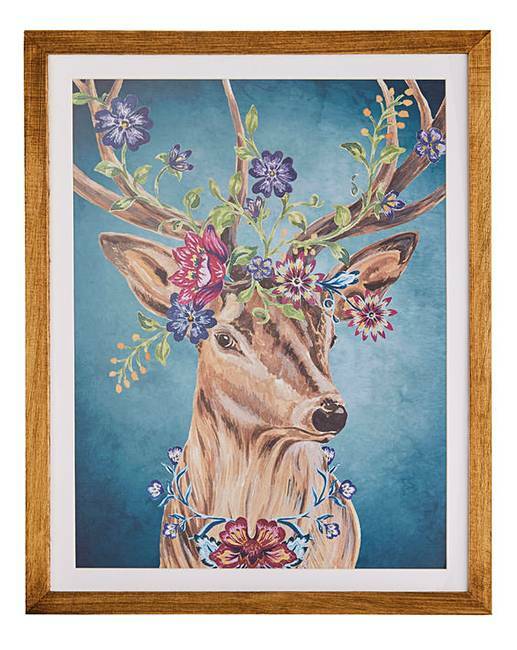 Joe Browns Floral Stag Wall Art is rated 5.0 out of 5 by 2. 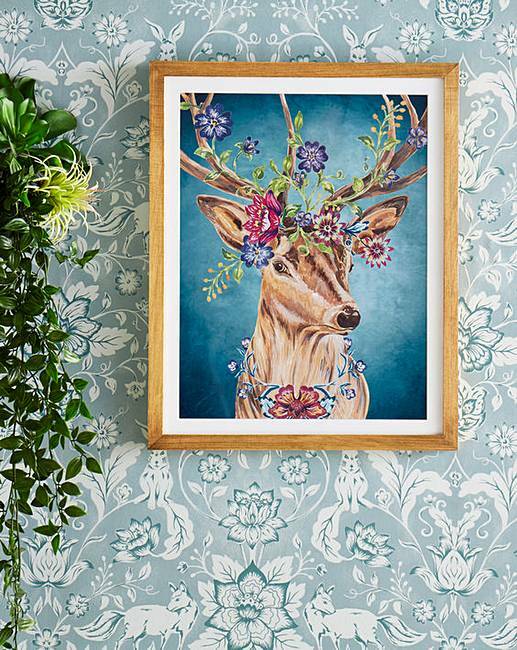 Let the charm and beauty of the countryside into your home and create a bold and eye-catching focal point. We know you’ll love our Majestic Stag as much as we do. Rated 5 out of 5 by Mollymaze from Love it I don't often see pictures that make me want to buy them, but this caught my eye straight away. Love the styling of if and it's a bit different from anything I've seen. Lovely colours and a good balance of florals without being too flowery. Rated 5 out of 5 by Rhiannon from Absolutely Love This As soon as I saw this I had to buy it, and was not disappointed. Looks great.